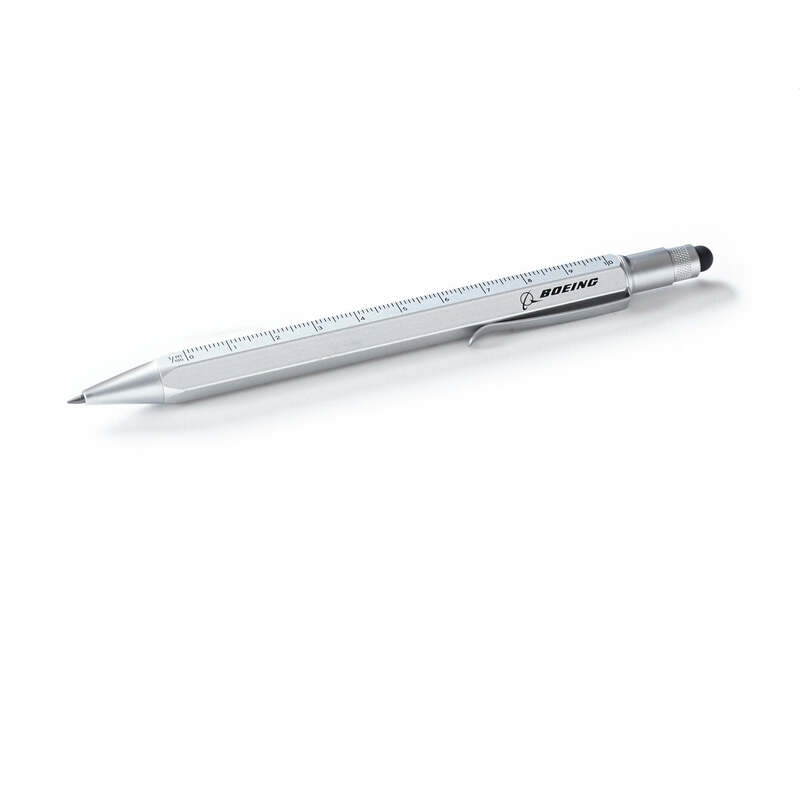 This versatile mechanical pencil is a real multitasker. The body doubles as a ruler with both inches and metric units, and one end also functions as a stylus. 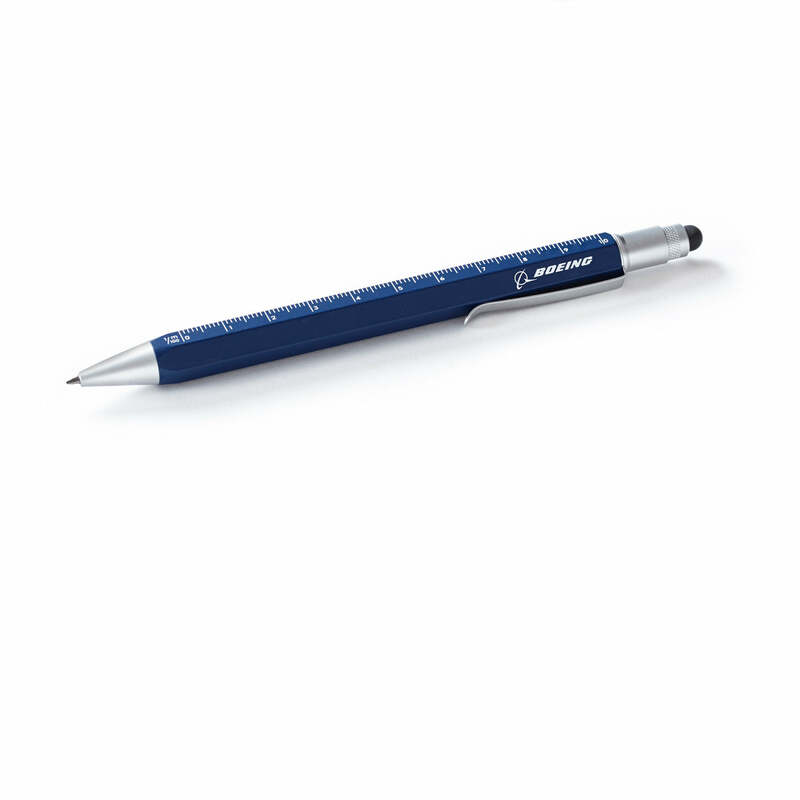 Soft-grip 2.0mm pencil is made from silica gel, brass, and steel and features the Boeing logo. Imported.